Bjurälven is a long limestone area in Jämtland, northern Sweden, where a river sinks and flows underground, emerging 3km lower down in the valley. The existence of large water-filled cave passages is certain. However, until recently nobody had managed to penetrate into the tunnels because of high water flow and the remoteness of the region, which is also a beautiful nature reserve. In early 2007 we performed our first winter expedition and our hope that the water flow would be lower was rewarded. The year after a larger expedition concluded that the area is unique to Sweden and which certainly contains Sweden’s longest underwater cave. Now, together with geologists, marine biologists and nature photographers, we shall return and continue the exploration and documentation of Sweden’s largest underwater cave. These are the most extreme diving conditions to be found in Sweden. Some passages are so small that the divers have to take off their cylinders underwater and push them ahead as they inch slowly forwards. The currents are still very strong even in winter and in places the divers must drag themselves forward using ropes. The water temperature is only just above freezing and as a wet diver climbs out of the water all equipment freezes instantly in temperatures which can dip below -15C. Snow at least a metre deep and frequent snowstorms add to the difficulties. We are 15 participants coming from all over Sweden and 8 are experienced cave divers. Also participating are 2 still photographers and a film crew. Photography and filming will be carried out both above and below the water. A total of 15 lectures have been given (at the Royal Institute of Technology, exhibitions, companies, diving schools and clubs). The most recent event was a lecture in Helsinki to an audience of over 300 people. More than 10 articles have been published in a variety of newspapers and magazines, including Aftonbladet, Östersundsposten, Värmlandstidningen, Tidningen‐DYK, dykarna.nu and various outdoor and camera publications. TV coverage in both local and national TV news programmes. The trial underwater filming was a big success. 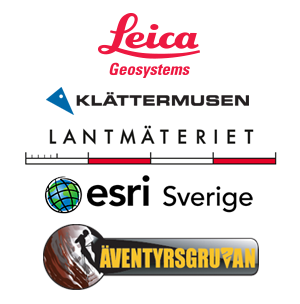 We are the national governing body for cave exploration in Sweden, responsible for mapping and registering all known caves in Sweden. We have a responsibility for spreading knowledge about the worth of spelological features and for ensuring their conservation. Speleology is also a science with links to geology, hydrology, zoology and climate science. The main goal of the expedition is to explore water-filled cave tunnels to get a better understanding of how Bjurälven flows underwater from sink to spring. Exploration and survey (mapping) of newly discovered cave tunnels and any interesting speleological phenomena noted in the caves. Produce a documentary film on the expedition aimed at national television. Perform any specific tasks requested of us from interested researchers, nature protection agencies and local government or other civic organization. PUBLISH RESULTS in newspapers, radio, TV, lectures and websites.